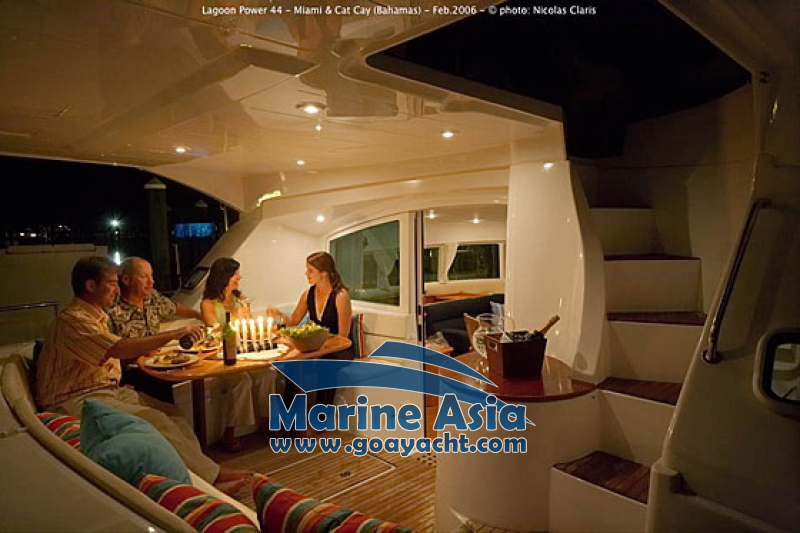 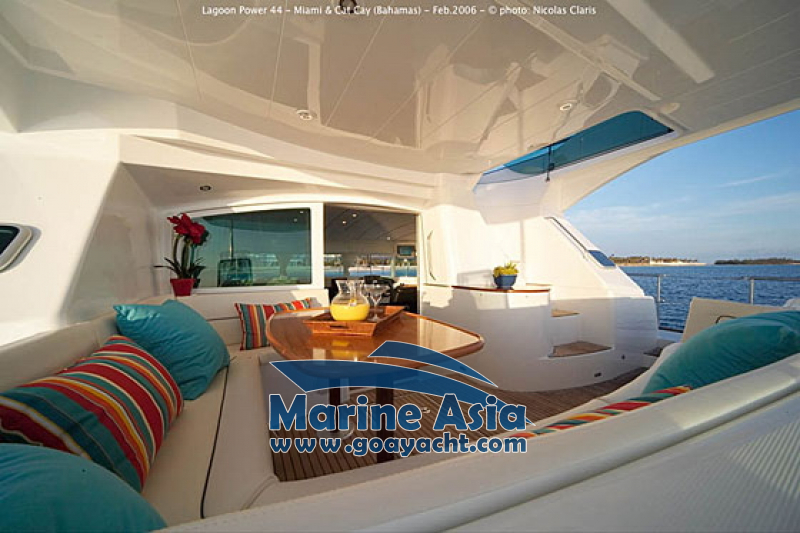 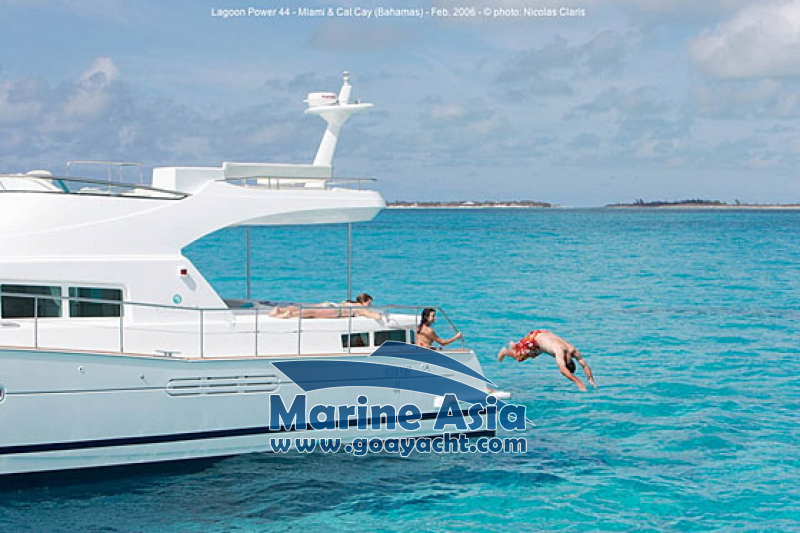 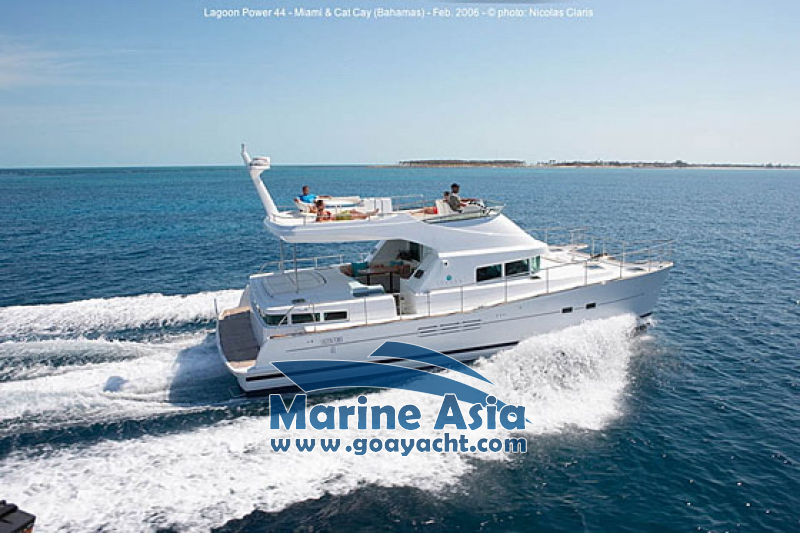 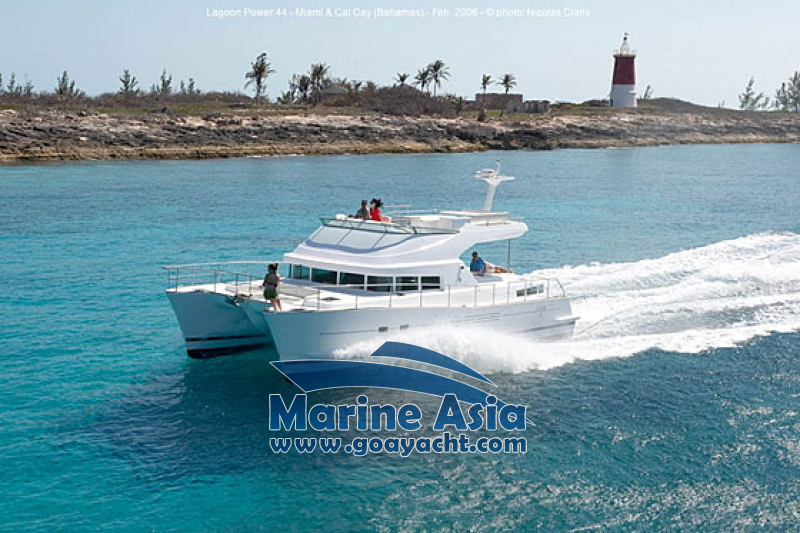 Lagoons remain one of the most popular and prestigious catamaran models around. 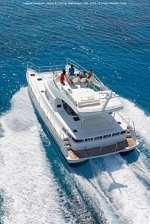 The 440 takes the best of previous models and the latest innovation in design. 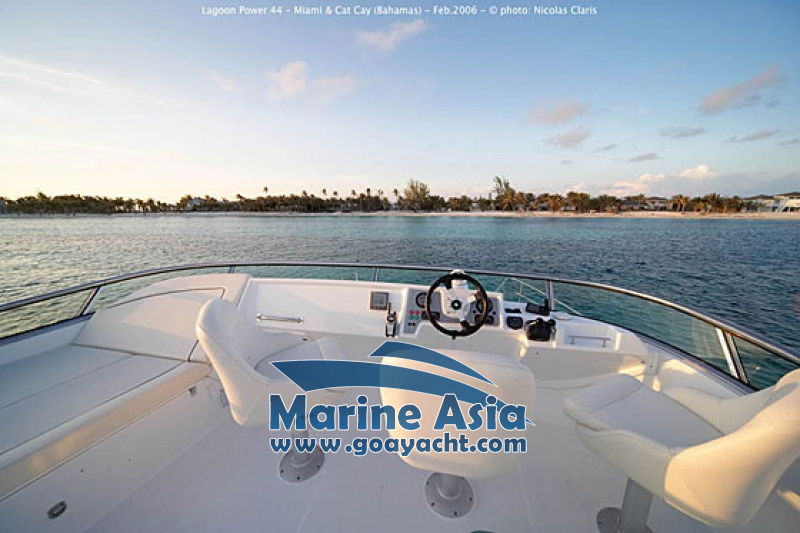 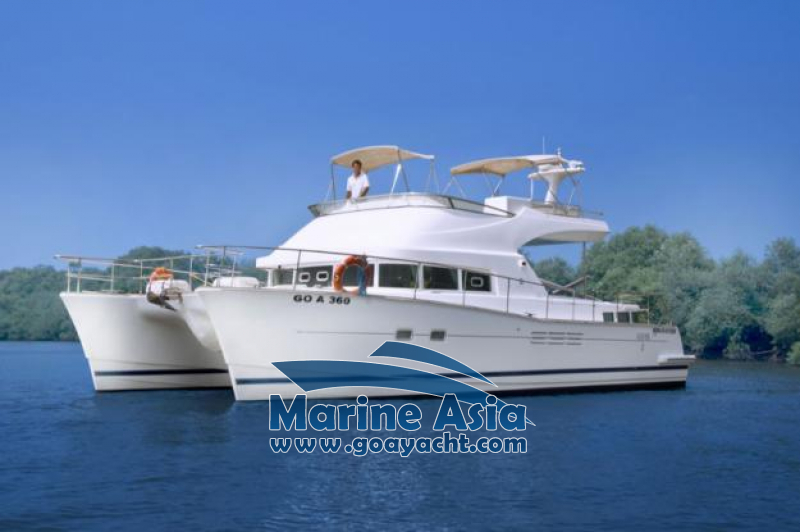 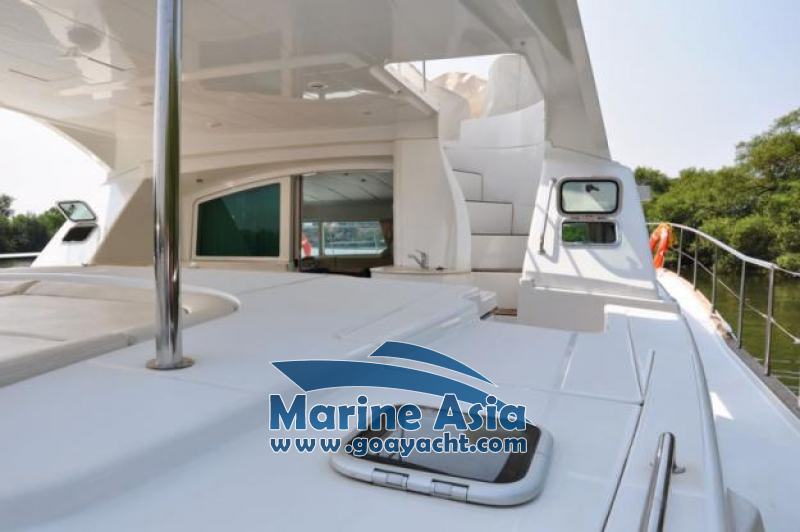 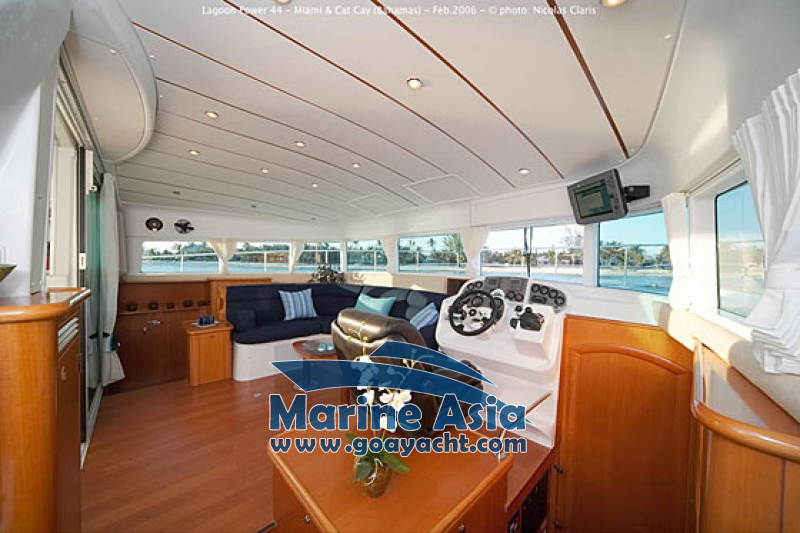 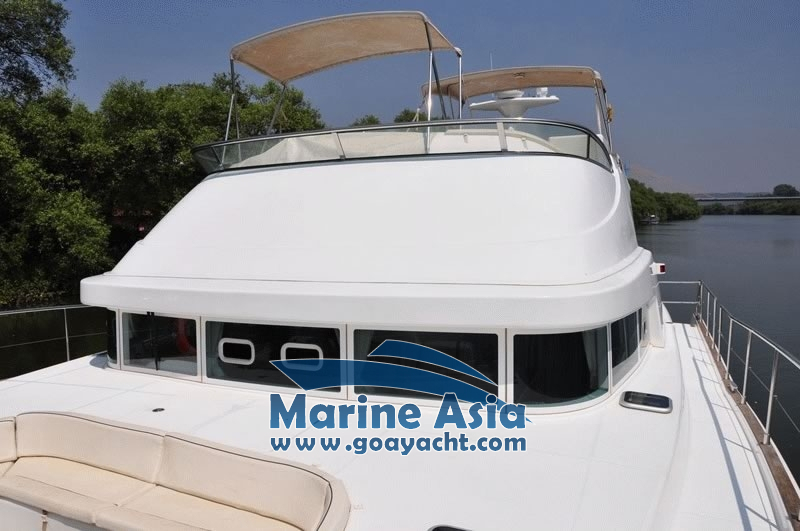 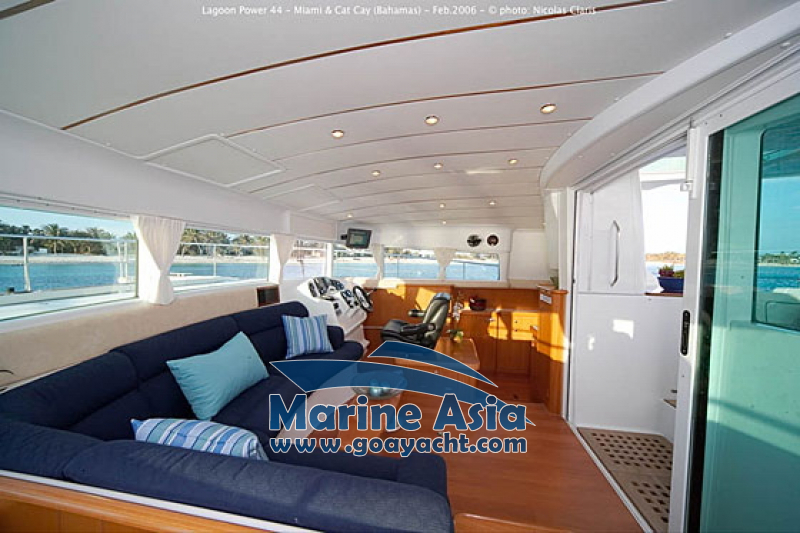 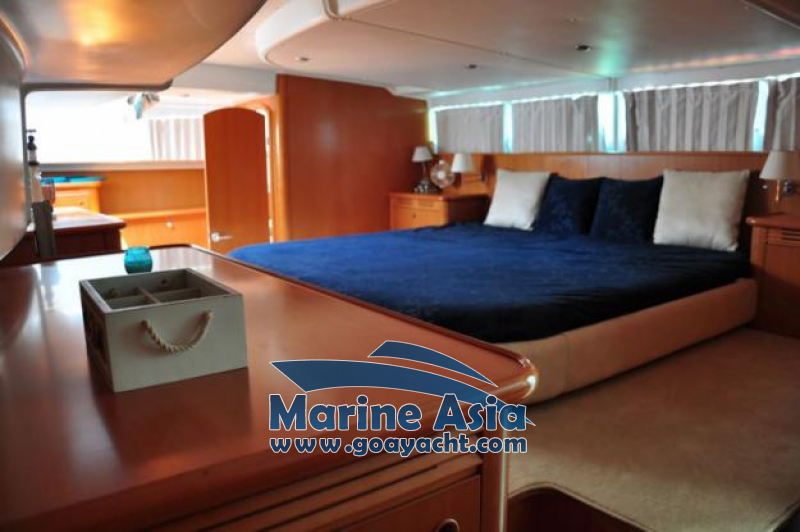 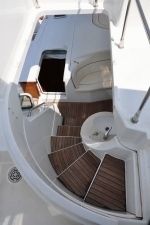 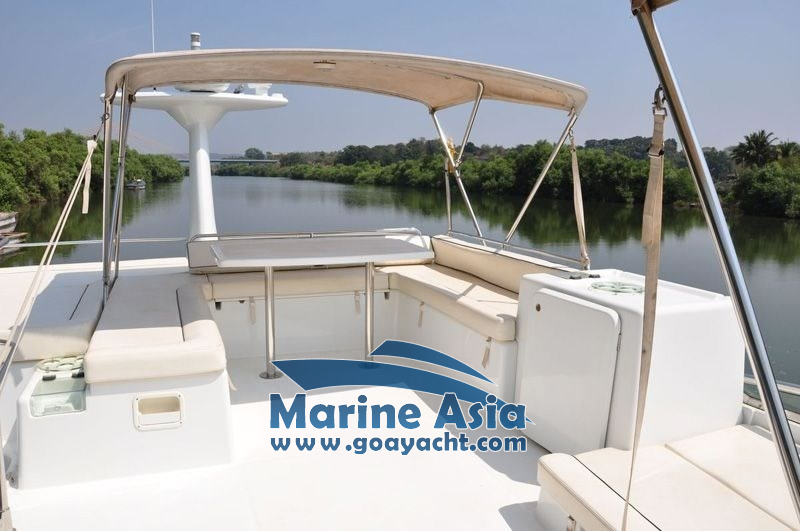 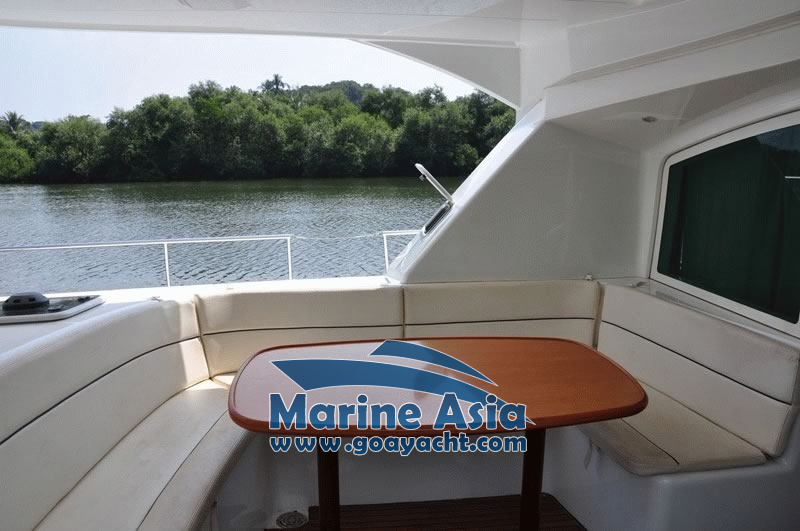 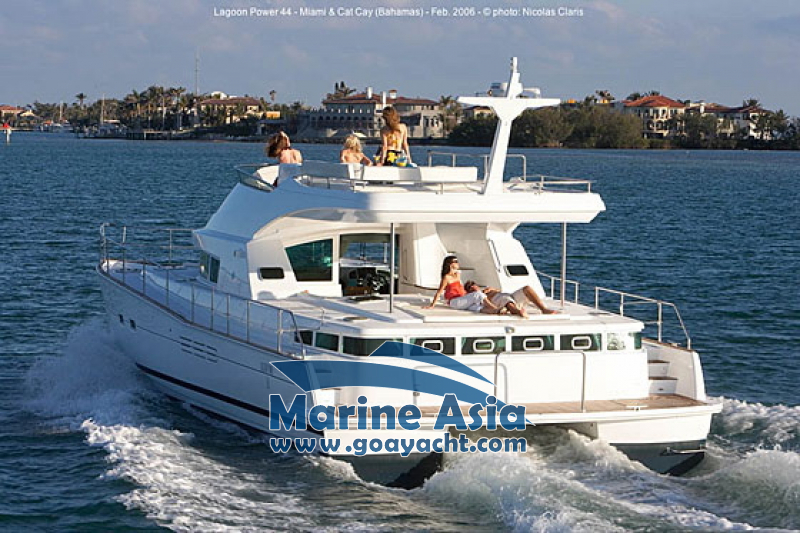 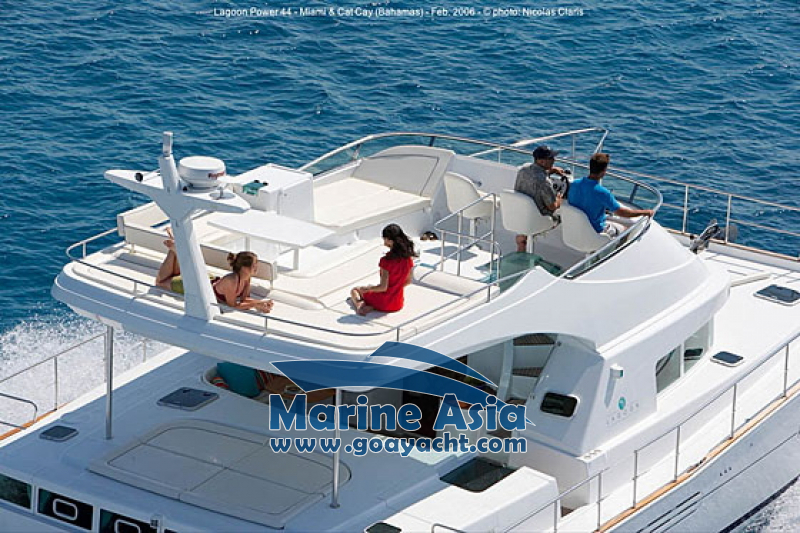 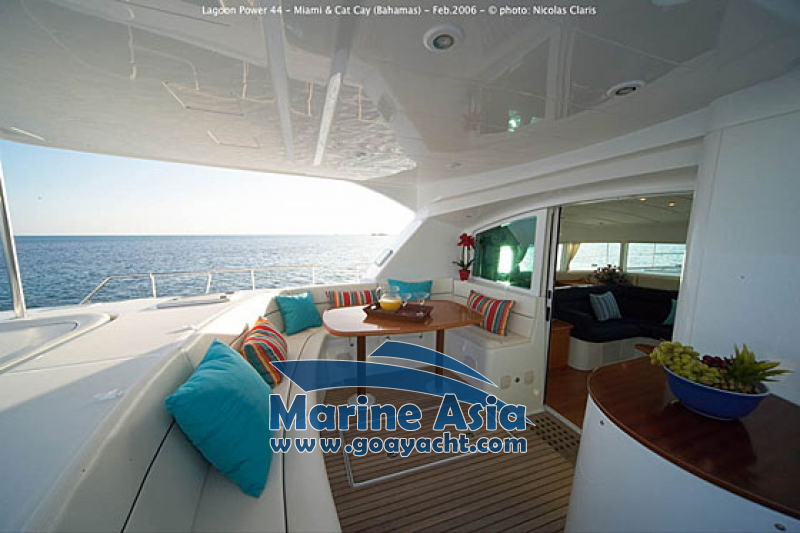 It is fully outfitted with everything needed for comfortable and relaxed cruising of up to 8 guests.The yacht has four identical cabins with en suite facilities plus two berths in bow and bathroom. 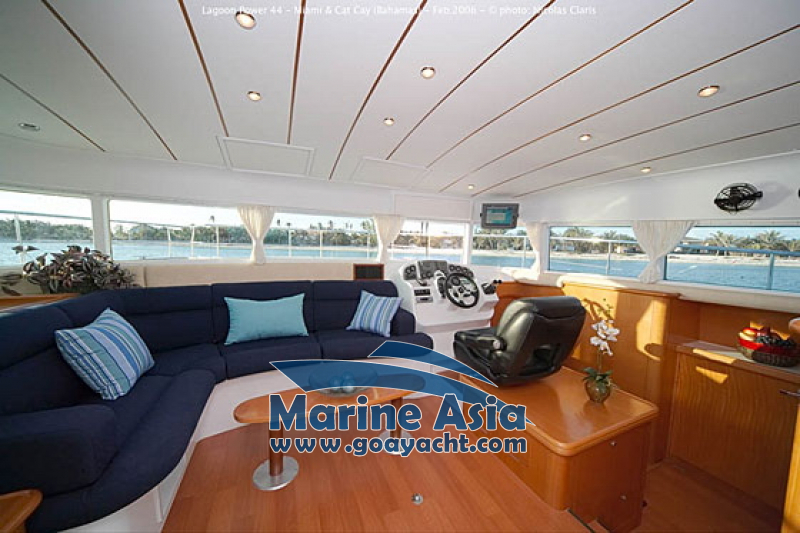 The comfortable seating includes numerous storage compartments. 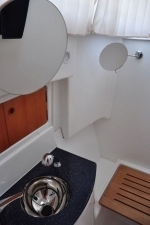 Next to the flying bridge table, a bar cabinet can house an (optional) fridge or storage. 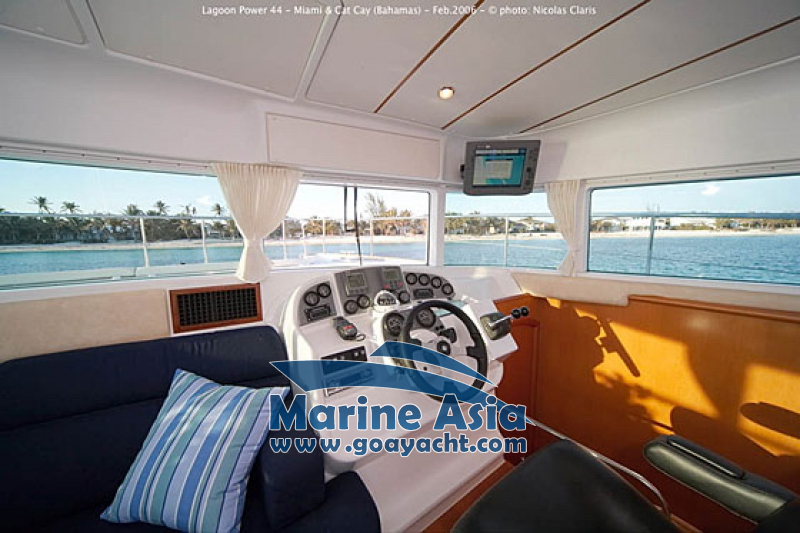 Among the three pilot area seats, the new captain’s seat is adjustable fore and aft and features a large storage drawer beneath it. 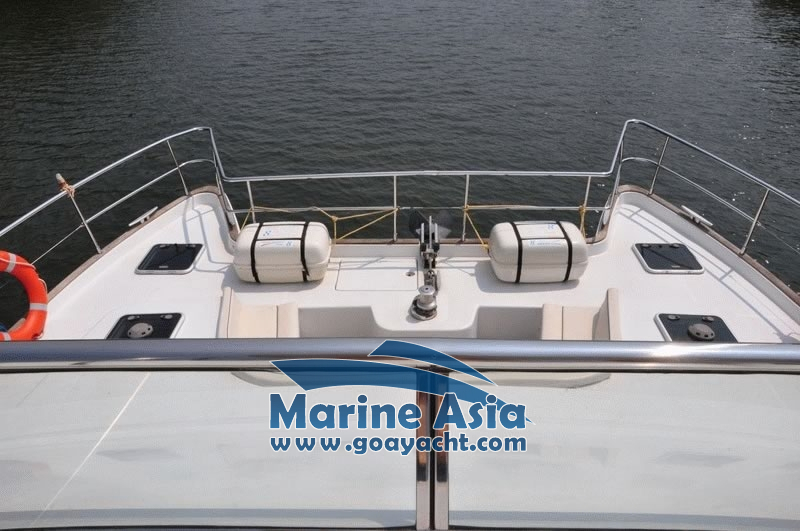 A windshield handrail will be installed...and not forgetting the new mast carrying the antenna the radar and the horn. 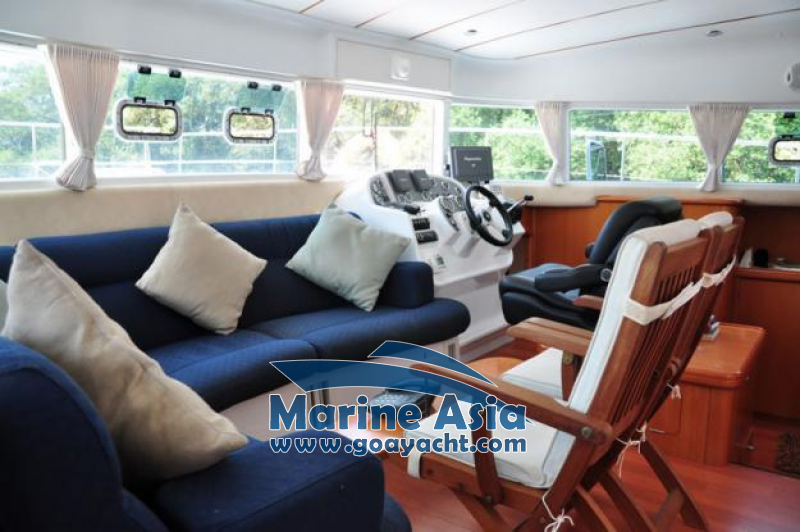 The new salon is equipped with a lounge sofa and directors’ style foldable chairs. 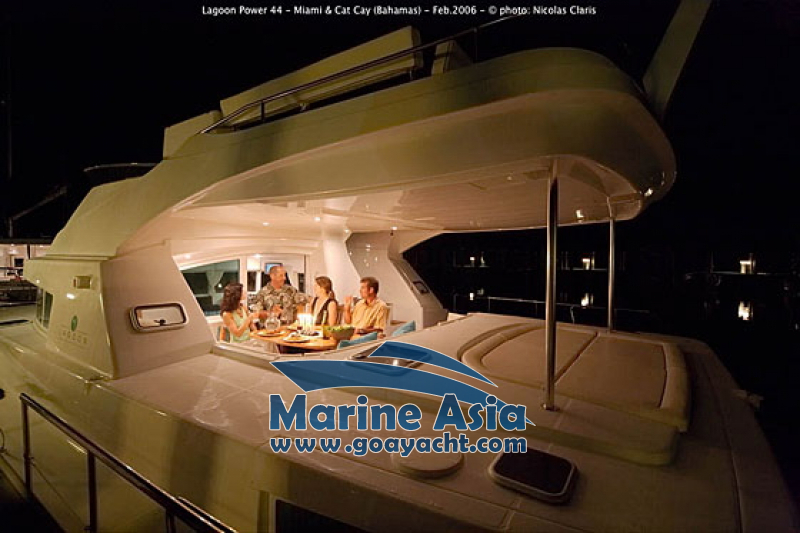 The salon table can either be a coffee table or a dining table, it can be moved to the cockpit area. 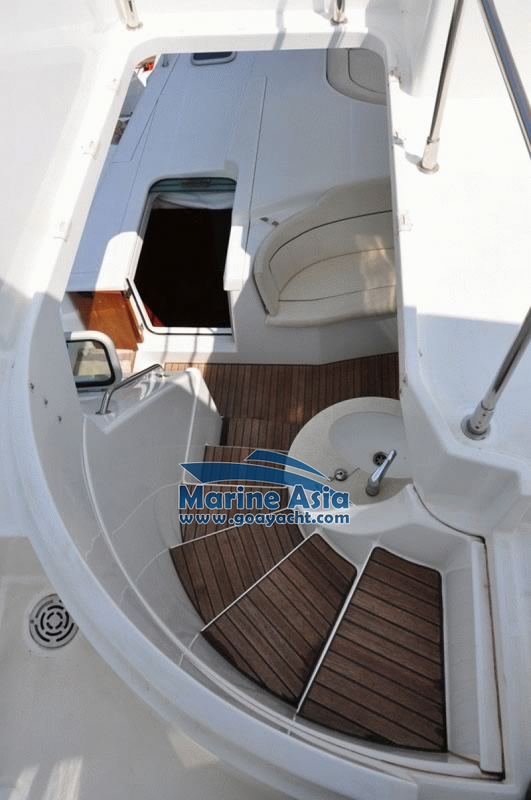 The interior steering station is now equipped with a Besenzoni adjustable seat and designed for best integration of electronic equipment.